Punitive Damages in Personal Injury Lawsuits: What Are They? People in Sacramento and throughout Northern California can count on the team at the Law Offices of Larry S. Buckley. Our skilled personal injury attorneys fight for victims and their loved ones, not resting until the negligent party is held accountable for their actions. This means obtaining compensation to cover losses and other hardships. We previously looked at compensatory damages and what these entail on this blog. As promised, we now want to focus on the nature of punitive damages, which are also a very important part of personal injury lawsuits. It is not uncommon for punitive damages and compensatory damages to be sought in a single case. Compensatory damages are meant to cover actual losses, such as medical bills and property damage. Punitive damages, by contrast, are less about material losses and more about the legal symbolism and seeking justice. Punitive damages help accident victims and their loved ones receive just compensation following very severe incidents. In addition, these punitive damages punish negligent parties and send a message to other individuals and parties that acting in a negligent manner such as this is unacceptable. It can be a potent deterrent to future negligence and a means of prompting industry-wide change and reform. Since punitive damages are not tied to material losses, they need to be calculated fairly and judiciously based on the nature of the case and the incident in question. Previous amounts awarded in similar cases from the past will often be used as a guide when seeking punitive damages, helping define an upper limit or a baseline amount to seek. Say that a pharmaceutical company put a drug on the market that did not undergo sufficient testing before it got into the hands of consumers. The drug led to severe medical problems and even resulted in the deaths of some individuals due to contraindications. 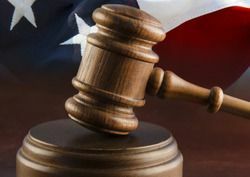 After collecting compensatory damages, an attorney would seek punitive damages in order to punish the company based on how severe their irresponsibility was in putting a dangerous drug on the market. The number of individuals that were harmed or potentially harmed may play into the final tally with regard to the punitive damages. A large amount sought in punitive damages will send a message to others in the pharmaceutical industry. It will demonstrate that consumers should not be pushed around like this and that there are people on the side of the injured seeking consumer safety and what is in their best interests. For more information about all of your legal options following a serious injury or accident, it's important that you contact our team of personal injury lawyers today. We at the Law Offices of Larry S. Buckley will help you in your time of legal need and ensure that you receive just compensation for serious injuries and hardships.